1. More than 1.5 million names have been added to the Terrorist Screening Database in the last five years. You can get added to the list for doing such things as buying a computer or waiting for a relative at a train station. 2. The “SWATification” of America is completely and totally out of control. Back in 1980, there were only about 3,000 SWAT raids in the United States for the entire year. 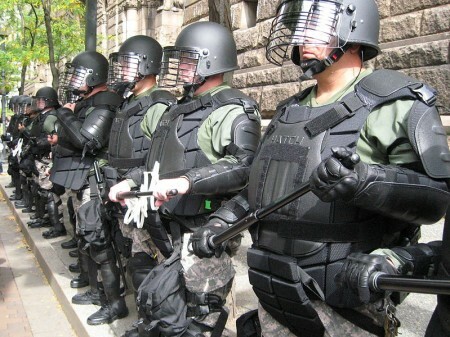 Now, there are more than 80,000 SWAT raids per year in this country. 4. The U.S. government is increasingly spying on ordinary Americans on the Internet. In fact, the feds were recently caught manipulating discourse on Reddit and editing Wikipedia. 5. According to newly released information from Edward Snowden, the NSA is collecting baby photos, selfies, resumes and medical records from millions upon millions of Americans. 6. Edward Snowden also says that “sexually compromising photos” are routinely passed around the NSA. 7. A new “pre-crime algorithm” is supposedly helping police in Los Angeles stop crime before it happens. 29. Visiting websites about “privacy” (such as this one) can get you put in an NSA database of “extremists”. 30. Today, the mainstream media in the United States is totally dominated by just six giant corporations. Those corporations own television networks, cable channels, movie studios, newspapers, magazines, publishing houses, music labels and large numbers of popular websites. The way that almost every American looks at the world is being constantly influenced by these media corporations every single day.